Seamlessly weaving old and new, this head-to-toe renovation celebrates this Victorian’s best existing features – including finely crafted stairs, arched front windows, and exposed brick wall – while introducing a clean and warm contemporary aesthetics throughout. The biggest transformation happens at the back, where generous glazing opens up the basement and ground floor of this formerly introverted home. A head-to-toe renovation of a typical Victorian Toronto duplex, our goal from the very beginning was to preserve and celebrate many of the home’s existing features – including finely crafted stairs, arched front windows, and exposed brick wall – while introducing a clean and contemporary aesthetics throughout. Designed for a young family, our brief also required the insertion of a number of pragmatic spaces typical of 21st century living, including a ground floor powder room, mudroom, home office, and abundant storage throughout – as well as a playroom that wouldn’t be quickly outgrown and a master bathroom to decompress in. Through careful spatial planning and highly integrated millwork, we were able to make use of every square inch of this narrow home, integrating all the programmatic wants and needs of the family without it resulting in a cramped interior. Instead, the home feels intimate yet spacious: the result of an efficient floor plan, warm but rich finishes, and strategically placed windows. 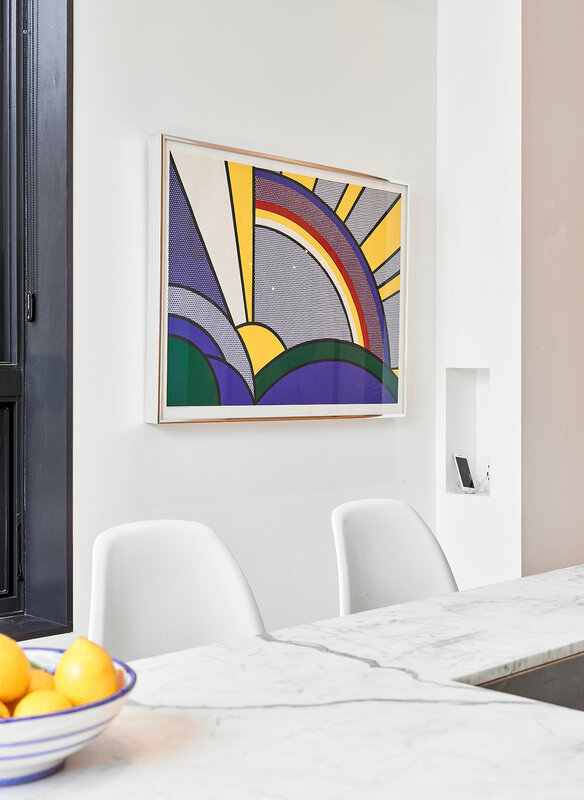 The biggest transformation happens at the back, where generous glazing opens up the basement and ground floor of this formerly introverted home, bringing abundant daylight and garden views to the kitchen and playroom.